They called her the “Queen of the Bohemian Artists,” and she presided over gatherings that included Thornton Wilder, Dizzy Gillespie, Sonny Rollins, Sarah Vaughan, Charlie Parker, and others at her Hyde Park home. But she wasn’t just the host of a salon – she herself was an idiosyncratic painter (and sometimes played piano with her jazz musician friends). 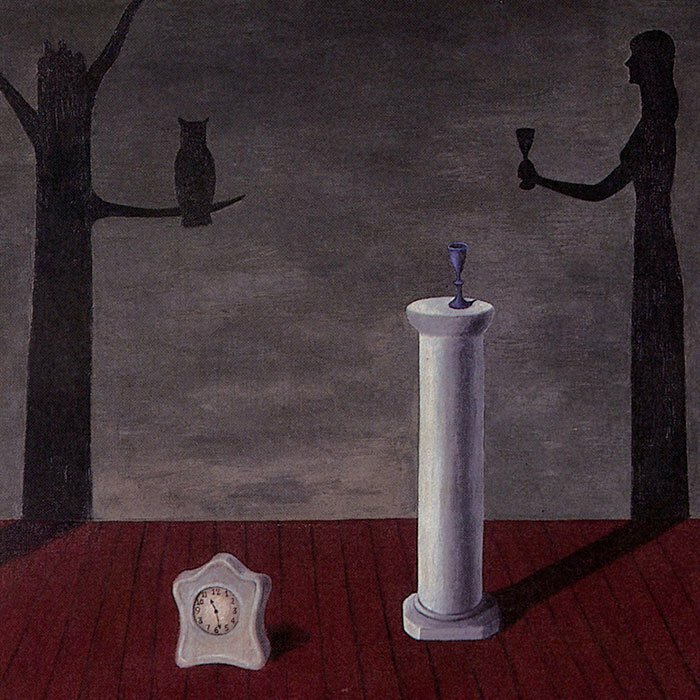 Gertrude Abercrombie was never represented by a major gallery and her reputation was mostly local, but she was a renowned figure in Chicago who left behind a striking collection of works. She was born in Austin, Texas in 1909, but soon moved to the Chicago area, then Berlin, Germany, then her father’s home town of Aledo, Illinois – her mother was a traveling opera singer. But when her mother’s career as a singer ended, the family settled down in Hyde Park, though Gertrude treasured memories of Aledo all her life – many of her paintings are of scenes there. Abercrombie received a degree in romance languages from the University of Illinois, then briefly studied fine art at the School of the Art Institute of Chicago and commercial art at the American Academy of Art before taking a job as a commercial artist for a department store in 1931. 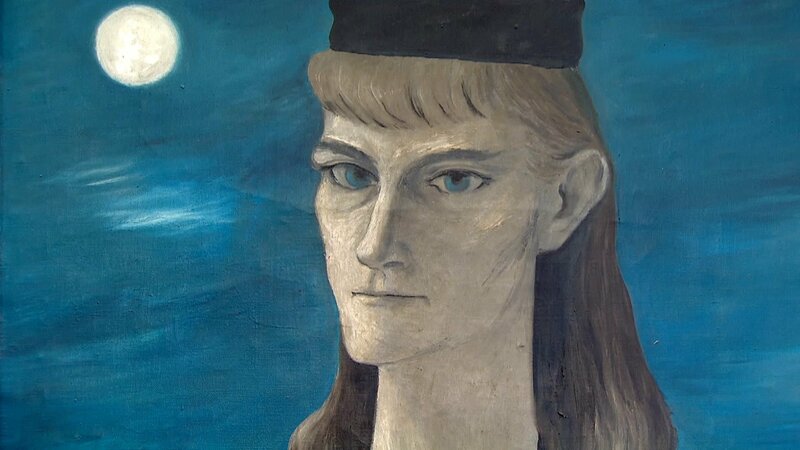 She began painting seriously the following year, depicting flat, mysterious landscapes filled with eerie symbols and centered on women modeled on herself. The angular, psychological paintings bucked the trends of the day, being neither in the style of New York's abstract expressionists nor the Midwest's realists, such as Grant Wood. She liked to tout her paucity of formal training; art for her was about ideas and emotion, not technique. "Something has to happen, and if nothing does, all the technique in the world won't make it," she once said. She worked for the Federal Art Project of the Works Progress Administration during the Great Depression, and in 1944, she staged a successful solo show in the Chicago room of the Art Institute of Chicago. She became a noteworthy presence in Chicago's artistic circles, exhibiting in massive no-jury art fairs, Exhibition Momentum, and the Art Institute's Chicago and Vicinity shows, while becoming involved with the South Side Community Arts Center	and Hyde Park Art Center (HPAC). Don Baum, an influential curator associated with HPAC, became a close friend, and in 1977 organized a retrospective of Abercrombie's work at HPAC. She died later that year and left Baum executor of her estate. He ensured that her paintings received homes throughout Illinois: at the Art Institute, the Museum of Contemporary Art, and the Illinois State Museum in Springfield, where a large portion of her collection went. 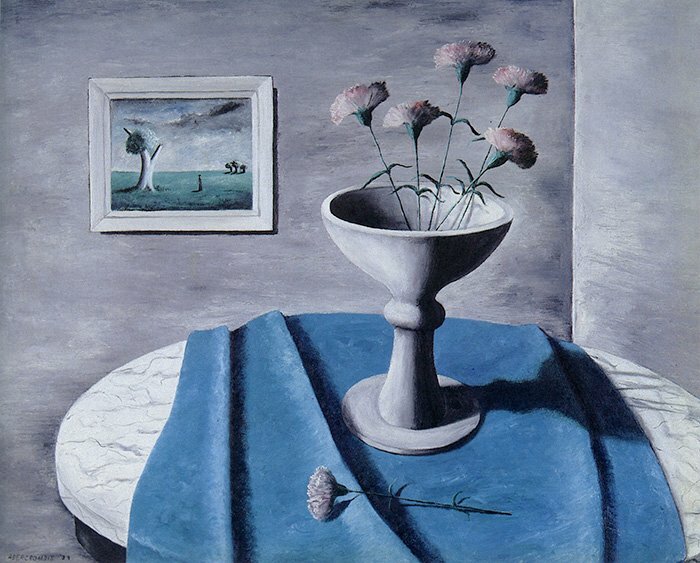 Pink Carnations by Gertrude Abercrombie, 1939.